Around 1000 A.D., Tahitians from the islands of Ra'iatea, Bora Bora, and Huahine arrived in Hawaii. With their larger statures, they easily overpowered the islands' inhabitants, descendants of Polynesian settlers that had arrived several hundred years prior. Although the Tahitians didn't slaughter the natives, they reduced them to commoners, calling them menehune (an insult meaning "people of small status") and imposed their own political system and customs on them. Tahitians had a well-established social and political hierarchy. The kapu system held particular importance. Something which was kapu was either forbidden or sacred, often due to social rank or gender. For instance, women could not eat with men, and only nobility could wear feathered garb, such as capes and headdresses. The highest-ranking chiefs were called kapu moe, and they wielded absolute power. Not only were commoners forbidden from looking at them, they couldn't let the kapu moe's shadow fall on them, either. To alert commoners of approaching royalty, an appointed noble preceded them, carrying a kahili - a towering staff with a feathered top. On seeing this, commoners could either leave or prostrate themselves on the ground. Below the kapu moe were the rest of the ali'i, nobility of various ranks similar to European royal courts. The most important among them were the ali'i nui, who could be either a man or a woman. When the head chief was away in battle or (more rarely) killed, the ali'i nui was responsible for making critical decisions. With this responsibility came a great deal of power and social status. Ancestry and warrior prowess determined a person's place in the ali'i. Because there often were more than one kapu moe on a particular island, warfare was common both on and between the islands. While all able-bodied men served as warriors, the ali'i commanded them, leading them into battle. Though warriors sometimes used weapons, the goal usually wasn't to kill the enemy, rather to establish superiority over them. Hand-to-hand combat accomplished that goal and reduced casualties. Mana (spiritual power) was a vital religious concept which further justified the division between nobility and commoner. Thought to flow from great spirits that all people were descended from, mana passed from generation to generation. It was believed that commoners had forgotten their genealogies, breaking the spiritual connection which could confer a chief's power upon them. With the significance of heritage, children grew up playing memory games as a way of preserving family history. An excellent memory increased a person's status in the community. Marrying into a high-ranking family also boosted social status. Rarely, siblings married for this reason, but this intermarriage was restricted to the kapu moe. Inbred children born with visible birth defects were immediately killed. However, the royal line was never threatened because polygamy was widely accepted for both genders; both spouses would therefore bear children with other husbands and wives. Other esteemed people were kahunas. Masters of a certain profession, such as canoe building, medicine, or weather, kahunas led the others in his field both professionally and spiritually. Often, a particular extended family monopolized a profession, but exceptional skill could gain an outsider admittance as a novice. 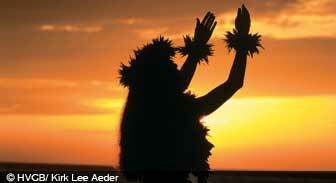 Kahunas led religious rituals, and the kahuna nui served as spiritual advisor to the head chief. Commoners were the working class; farmers, fishermen, artisans, performers, sailors, and so on. Because they believed their station in life was natural, they harbored no ambition to cross class lines. But they usually considered love affairs between a chief and a common woman to be favorable, since the whole family might benefit from the chief's patronage, especially if the couple bore a child. As in most societies, certain people were outcasts. Known as kauw? ("untouchables"), they may have been prisoners of war or their descendants. To be taken prisoner of war meant losing one's mana and being rejected by ancestral spirits. Because kauw's were thought to have no mana, they were forced to live apart from everyone else to avoid robbing mana from others. Anybody could kill a kauw, trying to escape. Healthy kauw, men sometimes became human sacrifices in religious rituals. Although early Hawaiians didn't believe land could actually be owned, they did consider themselves custodians of the earth. The kapu moe distributed land to the ali'i in portions. Each ali'i was granted a pie-shaped section, called ahupua'a, which stretched from the coastline into the mountains. In return for the land's use, the ali'i pledged loyalty to the kapu moe. Every ahupua'a had both a chief and a minor ali'i. Its land was further divided into narrow strips, again running from the coast to the mountains, with each being occupied by a family (ohana). The ohanas worked their pieces of land, sharing part of their harvests with their host nobles. While this self-sufficient lifestyle bears much resemblance to medieval European feudal systems, ohanas were not virtual slaves. Because they could go wherever they wanted, the ali'i could not treat them too harshly or they'd take their allegiance elsewhere. An ali'i without sufficient followers would never be able to rise very high through the ranks. About sixty years after Tahitians established themselves in Hawaii, a high priest named P? 'ao arrived from Tahiti. Seeing that the chiefs had intermarried with commoners, he felt the pure lineage had been corrupted and the chiefs had lost the proper mana, making them all unfit as chiefs. He returned to Tahiti and recruited Pili, a prince with a strong family line, to establish rule in Hawaii. It's likely that the chiefs resisted the new leader, but in the end P? 'ao succeeded in securing Pili the top position. Pili became the first in a powerful dynasty of Hawaiian rulers, including Kamehameha many centuries later. P? 'ao built temples and instituted new rites. His religious leadership may have kept the early Hawaiians from straying too far from their original Tahitian customs. For a number of years after the Tahitians planted roots in Hawaii, travel continued to and from the South Pacific. However, by at least several hundred years before European explorers came, journeying had ended. While the reasons for this cessation haven't been proven, there are several theories. One possibility is that Hawaiians couldn't take the time away from cultivating their lands, which were more expansive than those in the South Pacific. Another is that chiefs who undertook long voyages may have returned to find others had appropriated their positions. Or shifting allegiances in the South Pacific may have made them less welcome there. Whatever the reason, Hawaii became an insular land, with little to no contact with the outside world. In this cultural cocoon, early Hawaiian culture evolved free of external influences. But the arrival of Europeans changed all that.